We all know WordPress, the software, is free and great for beginners, hobby bloggers, and even serious businesses. The platform is supplemented by hundreds and thousands of plugins, themes, and extensions built by developers from around the globe. There are thousands of free plugins and themes on WordPress, that can easily be used as alternatives to the pricey versions. This makes the life of many website owners easy! But here’s the thing, from time to time, even the average non-tech guy needs to run premium (paid) plugins to get those extra benefits and functions for their site. A good number of users opt to run these premium solutions nulled, i.e. free software from a non-verified source. This, however, is highly discouraged because it costs your site a lot more than it gives back. Note: This article is not directed against the use of nulled software for trial purposes. Rather it’s more of a word of caution with respect to running non-licensed plugins taken down from unverified sites on live sites. Before we delve into the consequences for users using pirated versions, let's consider what nulled hosts are obtaining from distributing paid plugins freely. Nulled plugins and themes are, for the vast majority of times, given out by individuals who cannot be identified through unsecured sites. The sites where they allow you to download free premium WordPress plugins and themes are for the most part unprofessional or broken. And even if it is a popular website, you cannot specifically identify the individuals running it because nulled providers simply do no work like normal businesses. These anonymous providers tend to inject codes and scripts in the nulled versions. When you use these on your site, these codes infect your files covertly. Unknown to you, the provider has probably also injected scripts and codes to run his own ads on your site. Or fill it with spam links, pop ups, banners that – all of which can cause your site to freeze or crash suddenly. It also makes the site incredibly annoying and slow for visitors who may quickly become disinterested and leave. Thus increasing your bounce rate. In addition, these providers can even steal your personal data like names, IDs email address, and payment information. Thus, filling your inbox with spam mails, hijacking your site or stealing your money. Again, these people are difficulty to track down with names or locations, so if you want to charge them or file a case, it would probably be impossible. When you forego paying for a premium plugin or theme you don't get to have a valid and unique license key. This essentially also makes you an unethical user of that solution because you're not listed as a verified customer in that company's registrar. Since you did not purchase it from the authentic website or from the developer of the plugin/theme, your contact and details are not with the company. Which also means the company has no register and track of you. You become an unverified user consuming a copyrighted product unlawfully. Active developers of WordPress themes and plugins regularly release updated versions which improve the performance and operation of your site. With each release comes a variety of developments: bug fixes, tweaks, security patches, and new features. But when you install a nulled theme or plugin in your WordPress site, you forsake this extremely essential service that is available to licensed premium users. 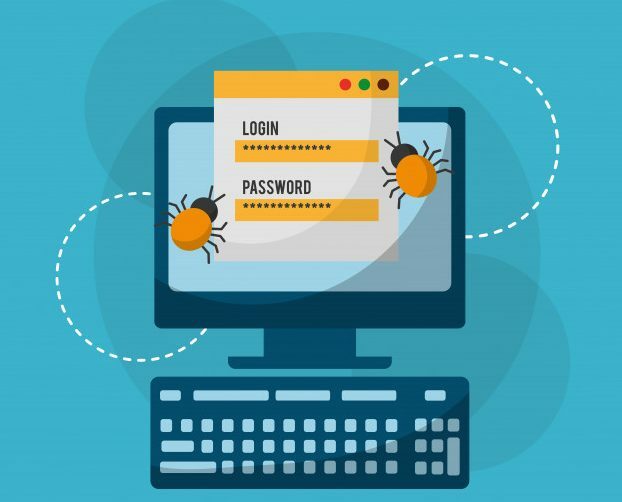 Consequently, as a non-verified customer with outdated plugins, you will end up with a buggy and insecure website that will break down anytime. 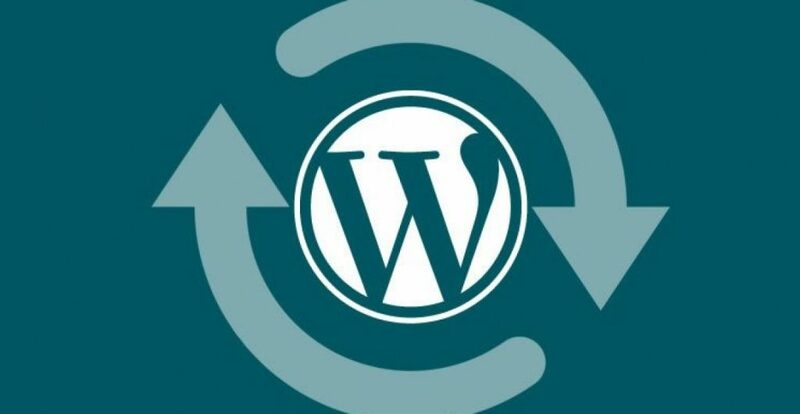 Secondly, WordPress itself releases updated versions of its core platform. For best performance, you should always run the latest versions of WordPress. Similarly important is ensuring that the plugins, themes, and extensions you're using are also compatible with the latest version. If you only update your WordPress core but keep using nulled versions, it still wouldn't help if your plugins and themes remain outdated and incompatible with the WordPress core. Consequently, your website may start malfunctioning or even break down. If you're running a marketplace, for instance, it becomes absolutely essential, for this reason, to keep your WordPress store updated. Keeping WordPress, your plugins and themes updated ensures that your site loads faster, stays free of bugs, and secured. When you're opted out from automatic updates, you also don't get access to all the new features and functions from the developer. The new features can add more functionalities to your website, augment your performance, and bring you more traffic and sales. These are things which you wouldn't even know have been released unless you subscribed to their newsletter or blog. When we start a website or business, our first concern is to set it up right so that visitors can navigate easily and be attracted enough to spend time on the site. But what happens if your users are unable to smoothly browse through your site? What if it crashes every few seconds? And what if the user is constantly bombarded with unwanted obstructions, annoying pop-ups, that hinder him from using the site? That's exactly what happens when you run a WordPress site with nulled plugins and themes. Why does this happen? Nulled software often comes with malicious codes and scripts injected into them, which undoubtedly affect the proper functioning of your website. These harmful codes and scripts are also known to spread across the site through files in hidden and mysterious ways that are very difficult to catch, detect, and resolve for the amateur person. Even an expert would charge a hell lot of your time and money to clean up infected files and fix these dangerous attacks. Using pirated plugins and themes also makes your site vulnerable to attacks from hackers and malware. Since you don't get updates of the new releases, the pirated product is bound to become buggy and outdated. This causes your site to be buggy as well and susceptible to malicious attacks. Premium plugins often come with a lot of features and settings that can be difficult to configure for the average user. For many pro plugins, documentation and tutorials are only be available for licensed users. Free 24/7 support from dedicated customer representatives by the developer's company is available to valid licensed users. Though free version users are eligible to get some amount of support through tickets and email, nulled plugin users are left stranded from getting assisted because they don't have a valid license proving ownership of the plugin. So if you're running nulled versions, you're left on your own. You won't be eligible to seek out the developers when you need help. What can be worse than this! And if you're thinking about seeking assistance from elsewhere, it might cost you time, energy, and let's not forget, money as well. If the outsider you're seeking is not experienced with WordPress themes and plugins, he may even cause your site to break with wrong fixes, leaving things worse for you than better. Let's not undermine the fact that WordPress plugins and themes developers spend a lot of time creating these products and hiring customer engineers who will provide the best possible support so you can run your website without any hindrance. These specialists create documentation, tutorials, videos, blogs, images, answer queries, requests, and honor user demands. So when you forsake going through the lawful process to use the software, you also prevent yourself from obtaining these supplementary and free services, like support. Since you get no updates, new features, protection or support from the developer, your WordPress site becomes extremely vulnerable at this point to attacks from viruses, malware, and worst case scenario, hackers. Nulled plugins and themes often have malicious code inside that steal information and make them available for hackers. If you run an online marketplace or membership website, this can be deadly. These malicious codes and scripts can cause confidential information from your site to be stolen. Such as, usernames, passwords, email addresses, credit card numbers and payment data. Having your customer data lost is one of the worst things that can happen. It compromises the integrity of your website and costs your business to lose its credibility. The negative effects of nulled plugins and themes are so fast and far-fetched that they are hard to detect while they're happening. And when the harm is done, it's too difficult to turn things back to normal. Stolen personal information is not only deadly for your website, but also for your business. Your customers can easily lose faith and not trust back your business again. Customer trust is a determining factor in business and losing it costs a brand to suffer in strength and competencies. 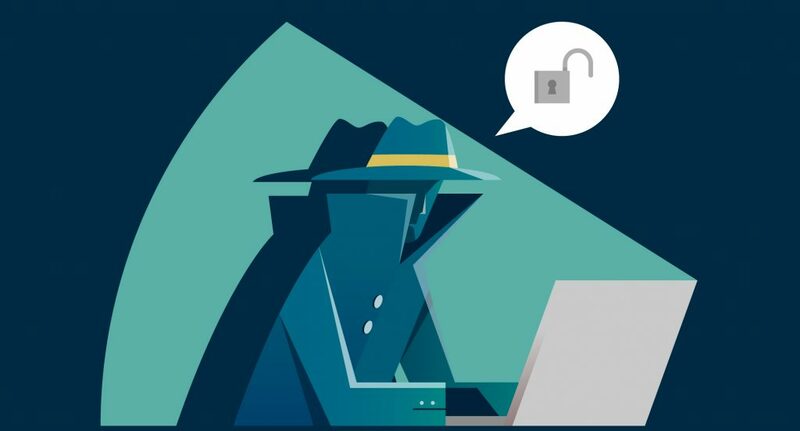 Theft of personal information brings bad reputation and can even prevent new traffic and sales. The negative effects of running nulled plugins and themes on your WordPress site can even cause your existing customers to run away. Nulled WordPress themes and plugins also bring down your SEO rankings significantly. The pirated versions have well-hidden codes that add spam links, viruses, and obtrusive pop-ups to your website and redirect users to spammy sites where their information can be hijacked. It may even cause your site to hang and crash several times while users browse. Search engines are quick to catch this and can penalize your site by lowering its search ranking or by de-indexing your site completely. The countless hours, effort, and smartness you spent to gain a good search ranking will all be outdone by these spam links, annoying pop-ups, and crashes. 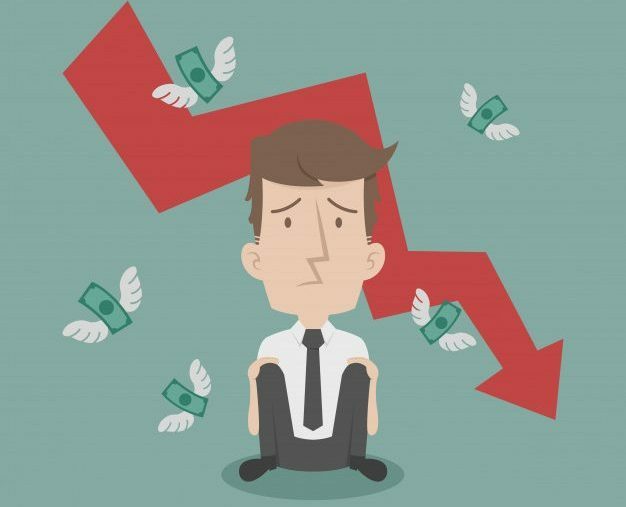 It may cost you several months to recover your search ranking position. If that doesn't solve it, you may even have to create a new website. 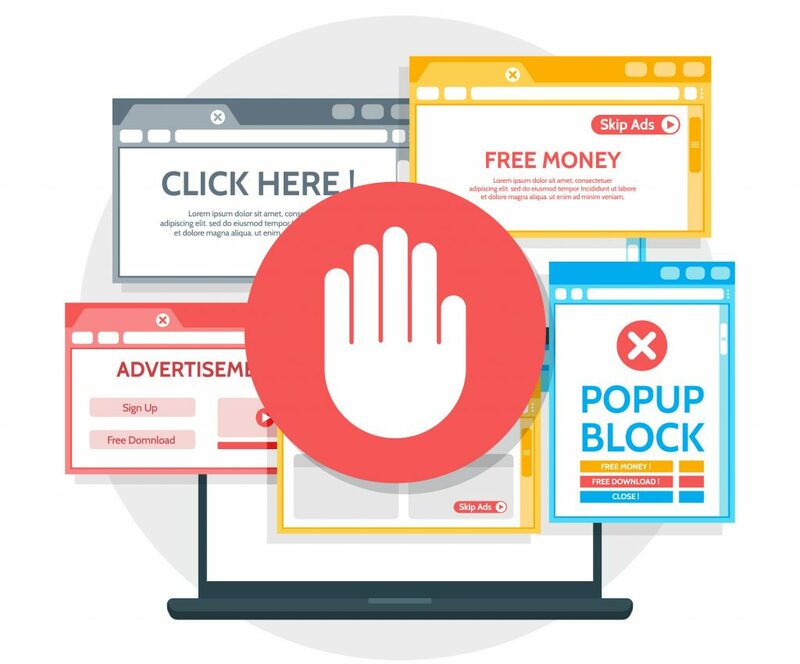 A spammy site also makes your site look less credible for customers, causing more number of people to leave the site without purchasing or taking an action. If you're using free premium WordPress plugins and themes unethically, that in and of itself is an offense liable to be punished under Civil, and even sometimes, Criminal Law, depending on the graveness of the circumstances. This is especially the case if the developer has copyrighted the codes of his product. 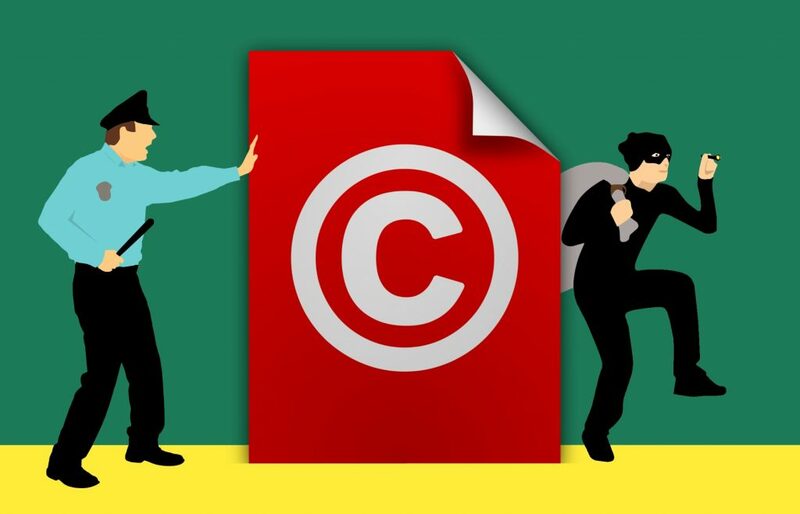 Federal Law imposes serious penalties against those charged with piracy and copyright infringement which can lead to civil or criminal lawsuits. Plugins, themes, extensions and a lot more are a result of a developer's skill, talent, hard work, and education. When you use his copyrighted work unethically, you take away his credit. But there's something more than a nulled software does. Developers spend a lot of time and money to create these solutions for the benefit of users. They create websites, hire support specialists, buy space on rent to run the company, run social media posts, ads, and a lot more to market their product. Using nulled software hurts their business and they end up losing money to those who are distributing their copyrighted work for free. Nulled themes and plugins are disastrous for the businesses of both developers and users. It costs your website a lot more than any benefit it yields. Nulled free premium WordPress plugins and themes break your site, bring viruses, insert malicious codes and scripts, make the site slow and vulnerable to hackers and malware, hurts your SEO position, and causes you to lose data. Even developers lose business, money, and enthusiasm to continue creating innovative products. As an invalid user without a license key, you don't get to obtain support and updated versions. So you're left with a buggy and spammy site which eventually brings down your credibility in the eyes of customers. Loss of trust in business has long-lasting negative effects which are sometimes irreparable. Have something more to add? Let us know your thoughts in comments! Visit weDevs Coupons to get all the latest offers. Limited time offer. Valid till 22nd March, 2019 Only. I completely agree with you but what drive people to seek mulled versions is the fight price of the product you sell. And sometimes the mulled versions came clean and works as expected. Here’s idea, using dismissable “subscribe to newsletter” slide-in windows cause not everyone wants your newsletter and blocking about 40% of bottom screen area on mobile permanently is worse than nulled plugins. Thanks for pointing out that issue. It is happening due to a bug that we didn’t notice before. We apologize for the inconvenience caused due to this. However, this doesn’t justify your point. If you want to get your website hacked, then you can always use nulled plugins. This article is alarmist humbug. Firstly using mulled plugin is generally fine from a legal perspective. Most WordPress plugins are explicitly gpl, and those that are not explicitly are likely anyway due to WordPress itself being gpl (this is debatable though). Secondly many nulled providers charge a membership fee so providing dodgy plugins is not in their interest and they could get sued for doing so. Personally I pay for plugins that I use but I have used nulled versions to test out new plugins and many developers are like me. 1. The fact that WordPress and its plugins are GPL and open source doesn’t permit to use copyrighted codes as a non-valid licensed user. In other words, if it’s explicitly copyrighted, as a user you should legally obtain it from the original developer, and then you can use and modify it as you need. 2. Not many nulled providers out there are giving out pirated solutions really for ‘free’. That is, most are doing so while also using it as a medium to support their own cause [whatever that may be]. Also, this article is generally aimed at beginner, non-initiated and average users who are not very expert in differentiating between “good nulled plugins vs. bad nulled plugins”. Generally speaking, nulled plugins are bad for a number of reasons, not just one or two, as highlighted in the article. The nulled plugin that works for you for one reason, may not work well for another user for a different reason. 3. Also it’s fine when you’re using these in your staging or testing site. When you’re using nulled stuff on live site with real visitors and clients, these may fail hard in the long term, without proper care, as nulled plugins don’t get timely original updates from the developer, no immediate customer support to get problems solved, and no new features. Nulled providers also won’t provide you support when you need it. For the average non-tech savvy owner of a WordPress site, these drawbacks prove to be a disaster for his venture. 1. Copyright and license and two separate things. The original author always maintains copyright that does not mean that providers of nulled plugins are doing anything illegal. 2. WordPress is gpl and likely also applies to all php code in both plugins and themes because the gpl is viral in nature. So again nulled plugins are generally quite legal. 3. Nulled plugin providers that are well established and charge have a viable business model, so they would be crazy to do anything dodgy like add malicious code. Whether it is morally right or wrong is debatable. It may not be a smart approach either (support ais important and developers have to stay in business). But it generally legal and quite safe if you stick to reputable providers. So please stop being alarmist. These are not alarmist points. But stated from real experiences of users. Again, what works for you may not work the same for others. Just because you didn’t experience the same doesn’t mean it doesnt happen. And the points stated remain true and valid. Im sure a lot of other WordPress plugins/themes developers and companies would love to differ on your points regarding copyrighting, licensing and whether it’s really fine to use these codes as nulled. 🙂 You can checkout yourself with other WordPress companies. Also, you can continue using nulled stuff if it works great for you. But I think you’re going too far-fetched when you encourage others to do the same as well. Also, to state again this post is generally targeted towards beginners to WordPress sites, who should stay away from nulled stuffs. Users like yourself can differentiate between ”reputable nulled providers” and those who aren’t, and a lot of other things. But non-tech savvy people cannot grasp a lot of things. And it’s silly to lure them into using pirated stuff just because it’s free. So please, try to understand the context. And think from the point of view of users who are coming from all walks of life to start their sites on WordPress and who’re not so expert in all this. Don’t encourage them into this and cause them harm unintentionally. I agree 100% with you Rounak. I provide web design and web hosting services to a number of clients and my skills in coding are somewhere in the beginner to intermediate range. I recently had used a nulled plugin on one of my websites which then proceeded to inject malware into several other websites under the same hosting account. I had to pay USD$199 to get the code cleaned from EACH website and there were 4 of them! Very expensive lesson to learn for not paying the small cost of the plugin in the first place. I used Sucuri to scan the websites and the amount of infected files they found was ridiculous. NEVER AGAIN! As a plugin developer myself, I commend you for writing this post! Developers have families to feed too and we need to support them, regardless of the legal, moral, or other ramifications. Thanks a lot Brian for the appreciation! And definitely, I too agree with you. this topic has been writen about before hundreds of times, GPL Membership sites who sell access to downloads of untouched files who actually post clean versions, as they have bought the plugins themselve and offering those with a fee. They are taking advantage of the GPL, this has been deemed legal by many people, yes its unethical to do so, but its quite legal. I’m kinda surprised that most people are taking issue with the fact that I’ve stated using nulled WordPress plugins and themes as illegal and a criminal offence. And not considering the other legitimate points raised against using nulled software. Even if it’s legal according to ”GPL terms”, it’s still not worth it as end users get badly misled and disadvantaged by nulled stuffs due to lack of support and automatic updates. End users tend to think they are purchasing ”for a smaller fee” from an ‘apparently’ legitimate source, than the actual plugin costs, and so they’re winning. Only to get disappointed when they face bugs or their sites freeze and hang for running outdated plugins. And of course, these nulled providers won’t provide you support when you need it. Think from the point of view of the average user who don’t know better. They might even have to repurchase from the original developer’s site to get the full list of services, thus ultimately paying double the price than they actually would have if they had directly purchased the licensed software at first. Also, directly, when you’re redistributing these codes for free on the internet, without modifying it in any sense, using the same brand-name or trademark, and without the permission of the original developer, that’s definitely abuse. abuse maybe, but still not illegal or criminal in any matter. Premium plugins you arent buying the plugin itself, you are buying the suppport and updates. Thats GPL for you. I do feel bad for the develpers who depend on sales to make their living and put food on the table, as 1 person can buy the plugin, and list it for sale on their site, which is unfair, but still legal. From wedevs for example, you guys put out good products, with high quality code, I myself have bought the Pro version in the past of User Frontend Pro. I myself have seen your dokan business version ($499) available on these gpl sites, which is a big loss of revenue for you guys, you think how much you have lost say with 500 downloads of this business version is quite a big chunk of change. Do u think, it so useful? Thank you for putting this guide out there, I occasionally receive emails from webmasters who have been hacked. Although I can not fully draw the connection for sure some are due to nulled products. Nice write up! I wish users of these plugins could take to this article. Nice post. I had a client that wanted a website. After quotes etc, he decided that I was too expensive and decided to do it himself. I received a call asking for my help as his site had crashed. I said that I would look at if for a price but would not touch anything at the moment. I checked and found 4 nulled plugins. I mentioned this to him and he asked for a price. I quoted him the price of a new website as I would have to start from scratch. In the end, it cost him what he would have paid as well as my fee for looking at his site. More importantly, he lost clients (woocommerce site) because of the downtime etc. Nulled – ethical or not, legal or not – your choice – your consequences. Absolutely! Thanks for your comment Dmitri. It’s definitely alarming to learn about the different negative consequences users have been facing for using nulled plugins on live site. First, I want to say thank you for this article. Obviously some people are going to be upset by this because they recognize themselves and it hits too close to home. As a former user of nulled plugins I agree with everything you said. I have a WordPress website and I had many nulled plugins installed. I needed these and I had no problem using them. But as time went on I began to feel very uncomfortable doing this. One of the reasons I used needed nulled plugins is because I couldn’t afford them. Now I look for cheaper alternatives, use the free versions and/or spend the money for legal plugins. None of the plugins installed on my WordPress site are illegal. There are 3 things that stopped me: 1) The embarrassment of being confronted by an angry developer (this happened a few times), 2) Fear of being sued by an angry client and developer and losing the money I earned while using the plugin, 3) the peace of mind I now have for doing the right thing, and 4) Being free to ask questions, get support and get updates. I’m not trying to preach to people but using legally downloaded plugins has helped me in so many ways. To anyone like me who wants to stop doing this I have a final warning. When and if you get caught don’t rely on leniency and understanding by any judge, developer, etc. They know that there are many alternatives to using nulled plugins and no one is going to be amused by any excuse such as ‘the plugin or software was too expensive. It is quite shocking to see the number of users who use pirated plugins on live site without foreseeing the consequences and then fall in deep trouble. It’s different when you use nulled plugins on your local, testing/staging site, we’re not talking about that. But using these on the actual site is definitely not worth the risk just to save some bucks. Not to ignore the support and updates that only customers get. know what you are speaking about! Bookmarked. Please also talk over with my website =).